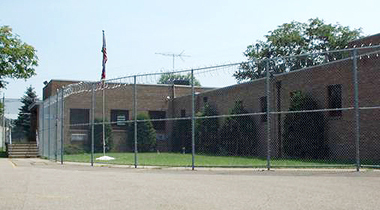 The Sargus Juvenile Center, situated in St. Clairsville, Ohio, is one of the state’s seven district juvenile detention facilities, and provides services to both Belmont and Harrison counties. The Center was established in 1973 and named after Judge Edmund A. Sargus, a former juvenile court judge for Belmont County. As a Juvenile Detention Center, it is our purpose to provide a safe and secure environment for the youth detained in our facility, while holding them accountable for their actions in a dignified and respectful manner. It is our intention to help each individual that comes through our doors to accept responsibility for his or her behavior and to learn to make better decisions to successfully function in society. Only parents and legal guardians are permitted to visit youth detained in the Center. Exceptions may only be made by the Executive Director. People that provide transportation for the parent or legal guardian cannot visit. All visitors will be required to produce photo identification before entry into the visiting area. Regular visitors should not count on staff to recognize them and must have photo identification available. Residents do have the right to refuse to see any visitor. To maintain security within the building, all visitors will be searched with a metal detector. Pat-down searches will be conducted if deemed necessary by supervisor on duty. Weapons are not permitted in the detention center. Any behavior that jeopardizes the security of the facility will not be tolerated. Visitors whose behavior becomes disruptive or inappropriate may be asked to leave if deemed necessary by the supervisor on duty. Violation of any of the visitation regulations may result in visiting privileges being revoked. Cooperation with these regulations will ensure that the visits will not interfere with the security or the safety of the residents or staff. Visitors, who smell of alcohol, cause staff to believe other drugs have been consumed, or demonstrate disruptive, inappropriate behavior may be refused visitation privileges and asked to leave the premises. Any behavior that jeopardizes the security of the facility will not be tolerated.